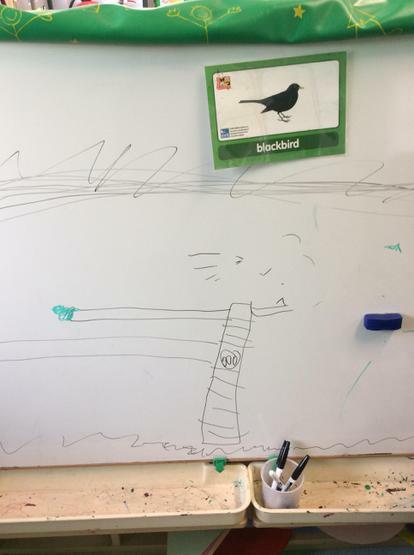 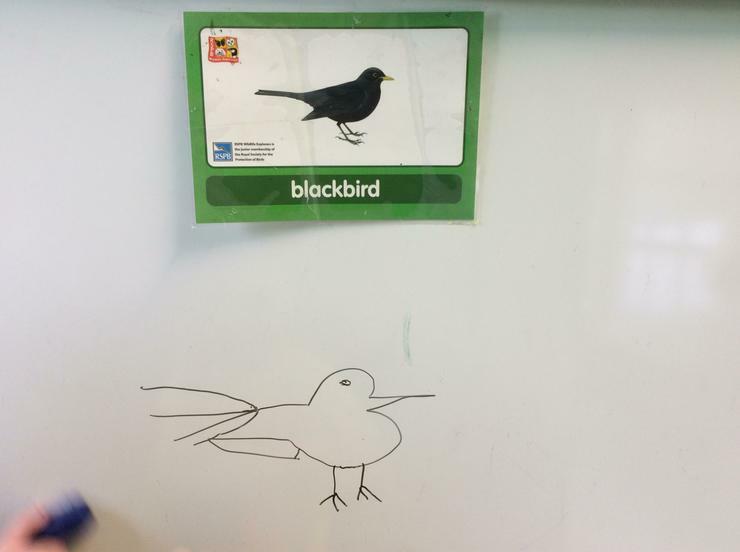 We have been learning about birds. 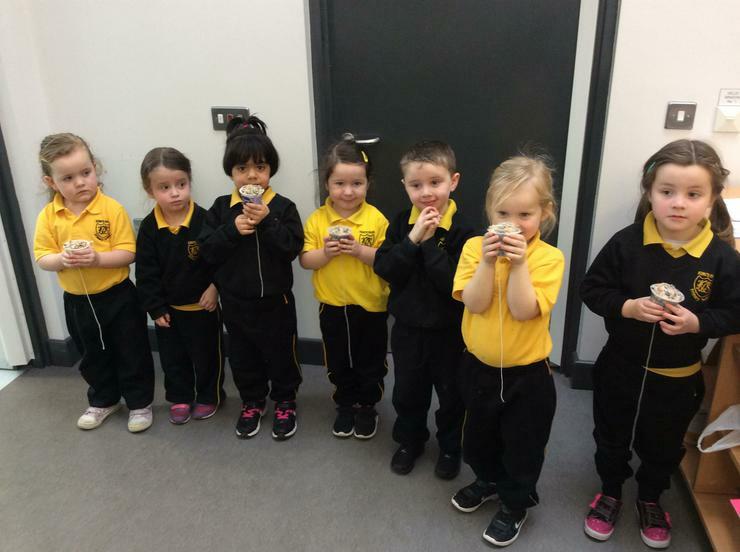 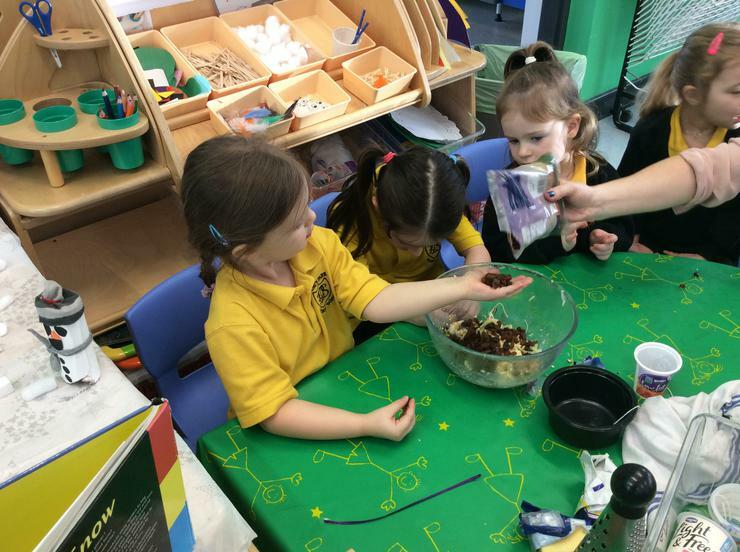 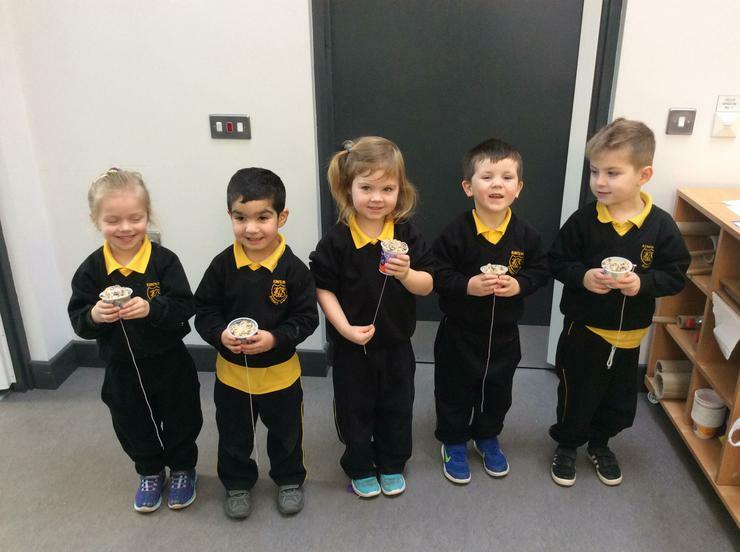 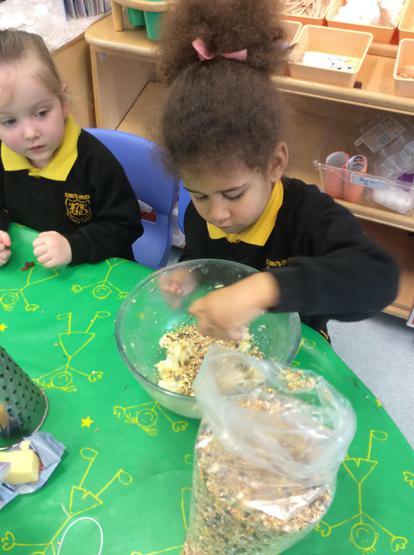 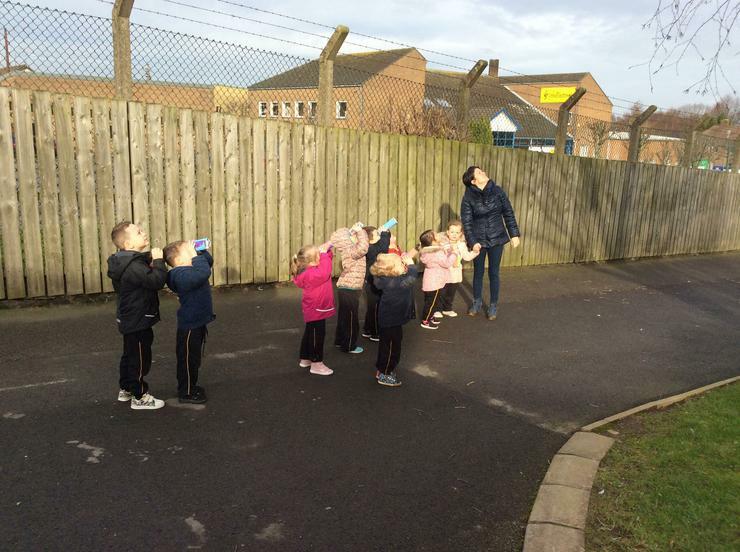 The children have had opportunities to make bird food and feed the birds daily, they have been bird watching both indoors and outdoors. 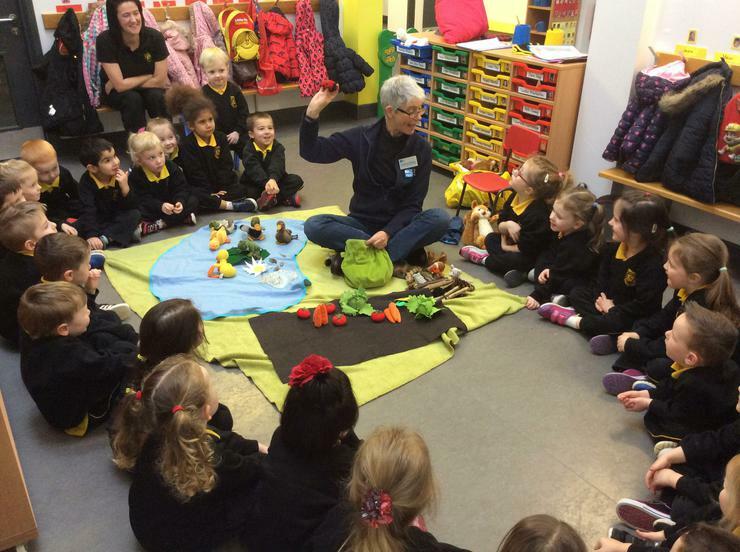 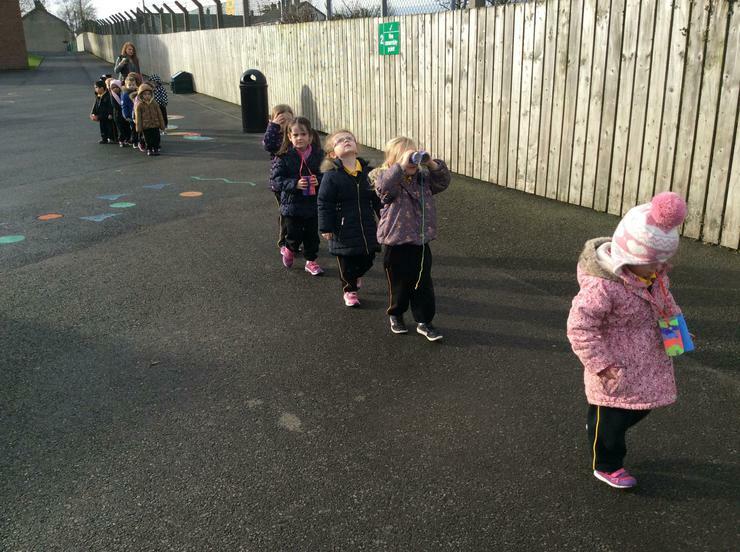 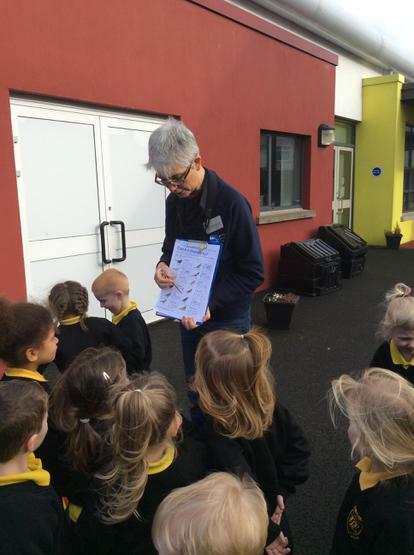 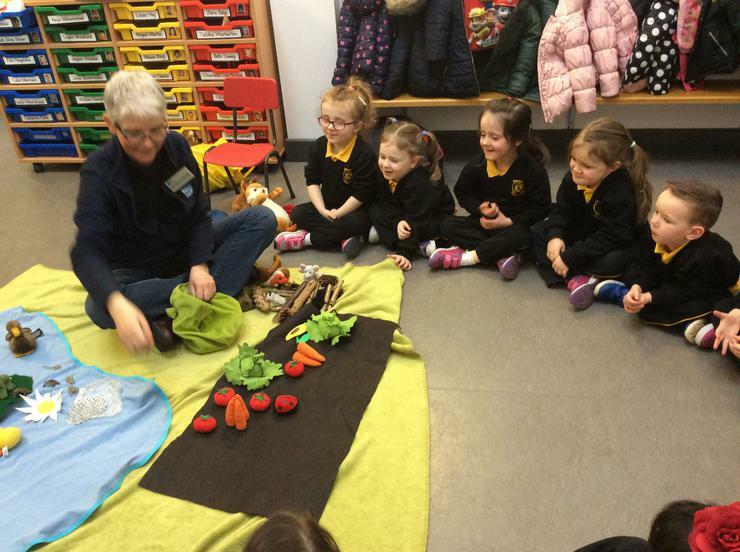 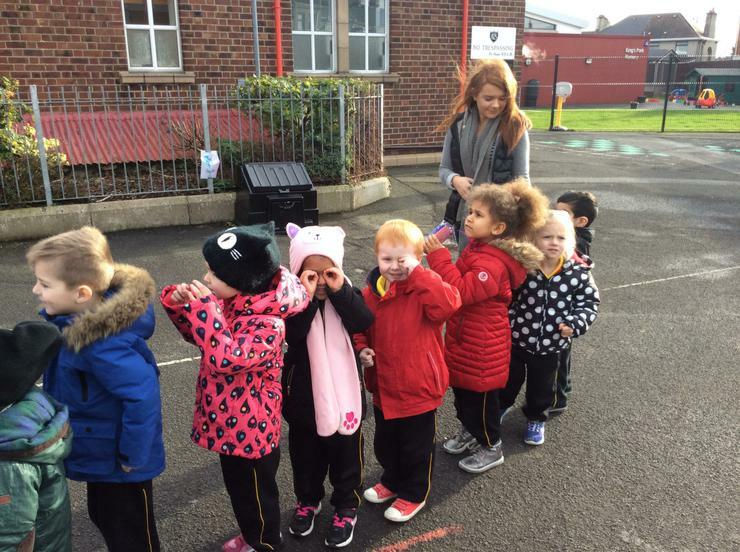 We went on a bird walk, took part in the school's bird watch and had a visit from the RSPB. 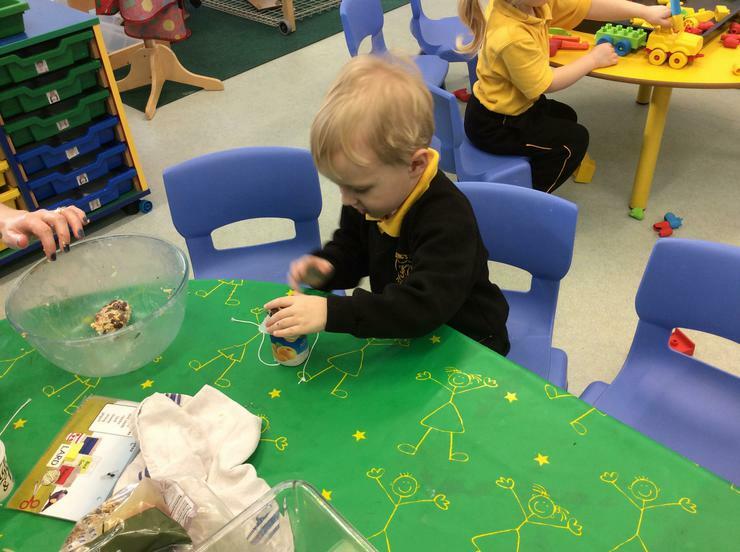 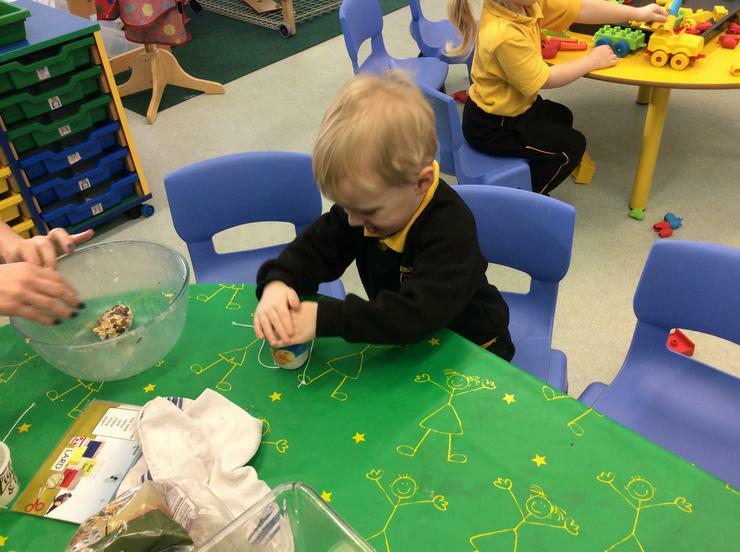 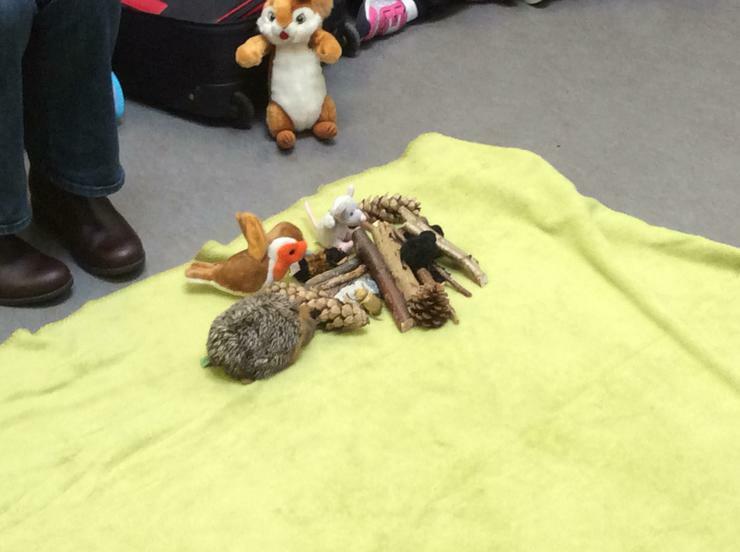 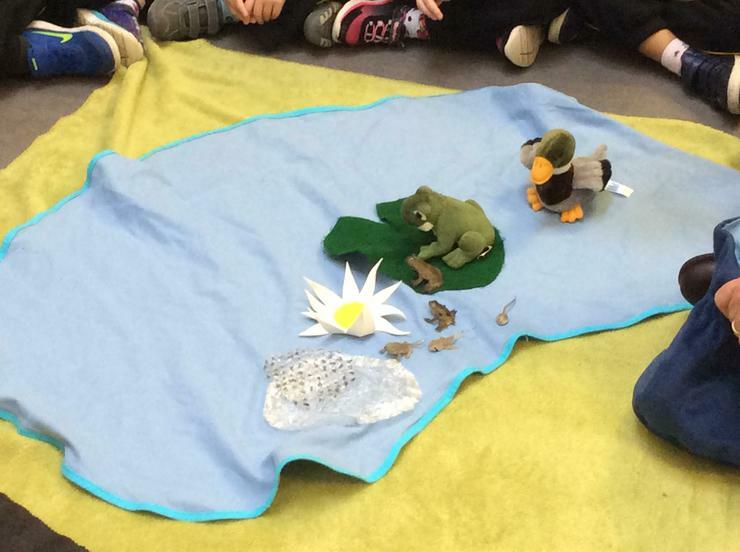 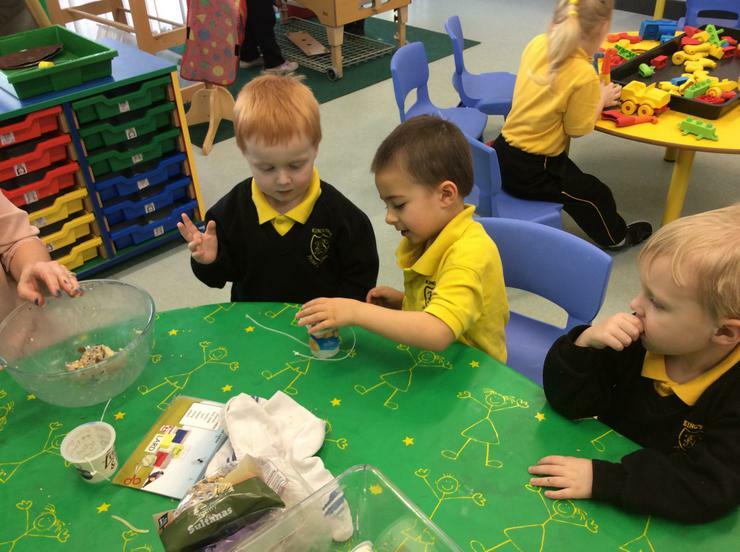 We have listened to stories about birds, learned new songs and rhymes, been making representations of birds through a variety of media and engaging in a variety of play based activities to enhance our understanding of birds.